Hopefully you will realise pretty quickly that I am not, in any way, shape or form knocked up again. Good god the idea fills me with horror – imagine going back to nappies and night feeds again! It’s hard enough having a new puppy in the house. No, this is not about an impending birth – or at least, not an impending birth of a baby but rather the much planned, much hoped for birth of a new book. But a birth that will only happen with the help of people like YOU. Some of you may recall I contributed a chapter to the first book in the Knocked Up Abroad series, in which I wrote about life in St Lucia while parenting a couple of small children and in particular the slightly peculiar school they attended. Having enjoyed being part of the KUA team, I jumped at the chance to contribute again when editor Lisa Ferland decided to go in for Round Two. This time, I wrote about discovering I was pregnant with my first daughter while working in Phuket in the immediate post-tsunami period. To say it was a bit of a shock is a severe understatement – imagine finding yourself on the other side of the world, living in a slightly dodgy hotel along with a whole load of colleagues you have only just met while your partner is literally as far away as you can get….add into the mix the fact that we had so recently started trying for a baby that I had only really half thought about the reality that it might actually happen, plus the total lack of any sort of pregnancy book in English and you will realise why this is a story worth telling. However. If you want to read it, along with the extraordinary tales from 25 other mothers around the globe, you will need to give us a bit of a helping hand. Because at the moment this project is still on the drawing board awaiting funding. Without money, it simply won’t ever be published. Once we get to $65 and above you get all sorts of exciting treats including an invite to the book launch in Stockholm or elsewhere in the world, PDF’s covering childbirth and parenting, books, listings, the lot! So as you can see, it really is worth a look and see if there is any way you can help. An awful lot of blood, sweat and tears has gone into this project and it would be heartbreaking if it never saw the light of day – especially for something that could really help other women going through pregnancy, childbirth and parenting around the world. Come on, let’s birth this book! “I quickly came to realise that the prenatal care would be different this time, and that pregnancy and birth is highly influenced by the surrounding culture”. Jannecke Balys, Chapter 10: The Land of Birth, Knocked Up Abroad. Three things have dominated my life over the past ten years or so – babies, living abroad, and writing. Not just having my own babies (although they, of course, having dominated my life more than everything else put together) or my own moves to other countries. But also my work as an antenatal teacher and my voluntary work with new mothers, my job now with a birth and parent education journal and my constant contact with the “birth world”. And then, the fact that I have written a book for expats, started a blog to accompany the book and now spend quite a lot of my time corresponding with people over issues that affect us expatriates. So it seemed quite serendipitous when I stumbled across a request for submissions to a book about babies….and living abroad. Right up my street, I thought, and contacted the brainchild behind the project Lisa Ferland. And so began my involvement in what has become a fascinating trip through pregnancy, childbirth and parenting in the world of expats. My least favourite part of any appointment was the weight check. My Germanic frame and American habits were a poor fit for the Japanese culture of pregnancy and its recommendations to gain the smallest amount of weight as possible. Every appointment was the same, “Your weight, it is too much. Please control”. I should consider more sushi, I was told, or perhaps less fruit. Weight gain (too much, too little…) seems to feature amongst quite a few of the stories: just one of the many examples of how things are done “differently” when you’re not at home. Then I don’t know what happened. I remember going to the operating room and Amir not being allowed to follow me there. I felt alone and scared, and maybe brave and confused, I’m not sure which. The C-section was painful. They had to give me more anesthetic half way through. Sadly, I passed out after that and only remember a glimpse of my baby boy on my chest…. But whilst there is commonality (eg everyone involved is a expat), there is – just like there always is within the contentious world of childbirth and parenting – plenty of differences too. From how to birth (natural? Planned caesarean?) to how to feed (breast or bottle?) through how to bring baby up (attachment? Controlled crying? ), one of the great things about this book is that it covers all the usual debate but through the lens of happening in foreign lands. Which is what makes it so interesting. I enjoyed every chapter in Knocked Up Abroad, and I also enjoyed the fact that they were all written in their own style, the style of the author of that particular section. It made every chapter very personal, a personal story not just of giving birth or bringing up a child, but of doing it in their own way in a culture that wasn’t their own. As I read, I really felt like I was really getting to know the women (and men – there are chapters contributed by fathers here as well) behind the tales. I also found a lot of the stories very funny, and often found myself laughing out loud. Although not far behind the laughs were some tears – birth is funny, but it is also emotional. And reading the stories of others brought back many memories of my own experiences of pregnancy and parenting in a foreign land. Knocked Up Abroad is out as an Ebook now, with the print version to follow soon. If you enjoy reading stories of triumph in the face of adversity, of expat life combined with becoming a parent, of humorous situations and downright ridiculousness, then I can thoroughly recommend this book. When I followed my husband’s career to Germany with my two small children, I thought my family was complete. 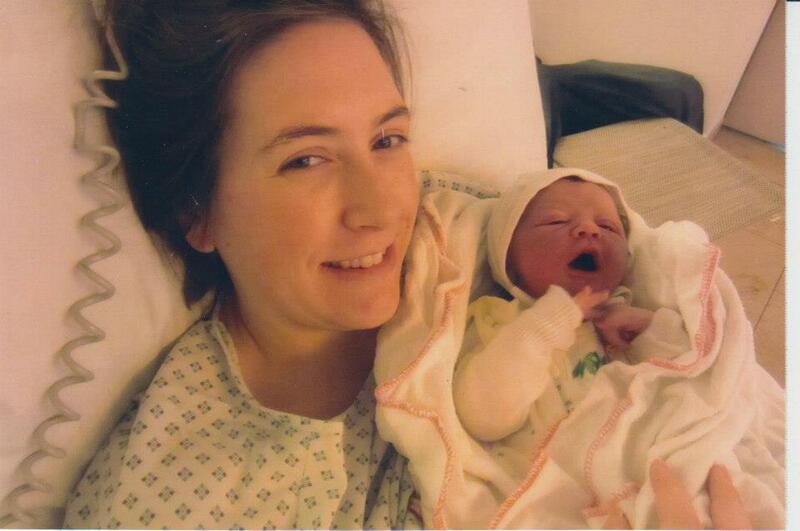 So when I found out I was pregnant half way into our third year living overseas, I was in a bit of a shock. 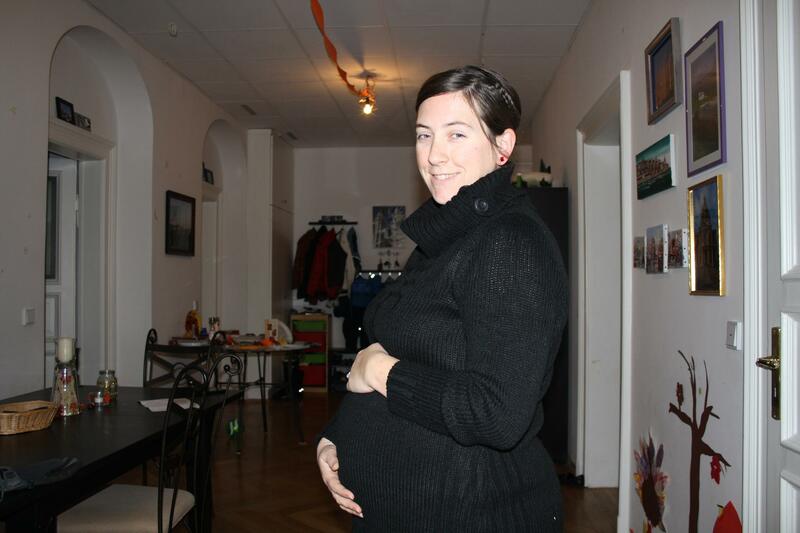 Even though this would be my third child, I found myself feeling very much like a first time mommy to be as I had never experienced pre-natal care and childbirth in Germany. One of the first things I had to do was find an OB/GYN. The natural instinct was to ask my other expat friends for referrals and to check on some of the local Facebook and internet forums I belonged to. As it turned out, my neighbor was an American who had 6 month old twins born there in Munich, so she was a great resource for me and gave me a referral to her OB/GYN who spoke English. But as I went through the process, I discovered a few other things I should have considered and questions that I didn’t think to ask. 1) What kind of medical insurance do you have? Some doctors do not take public insurance or may already be at their maximum for publicly insured patients. If you are privately insured, did you buy the right kind of insurance to cover pre-natal care and delivery? Thankfully for me, the doctor my friend referred me too took the public insurance that we were on and it covered quite a bit. 2) Do you want a provider that does both pre-natal and delivery or would you rather have a pre-natal specialist and then the hospital’s delivery specialists? Many doctors in Germany chose to specialize in one aspect or another, though you can find doctors that do both pre-natal care and delivery. If you want to give birth in a specific hospital, you may have to have a certain doctor for your pre-natal care that is attached to that hospital. Or on the other hand, if you choose a doctor that does both, you may be limited to only being able to go to their hospital. I didn’t even realize that my provider wouldn’t be the one delivering my baby until I was 6 months pregnant. That added the stress of having to figure out if I would be able to understand the hospital staff doctors in the delivery room. 3) How comfortable are you in the language of your host country? While many doctors are able to speak adequate English, their office staff may have a very limited English. You will have to decide if you can deal with scheduling appointments, potential insurance issues, and general instructions for blood tests, weigh ins, etc. in German. The thing I loved most about my pre-natal care, and really about any care I received from other doctors in Germany, is how much the doctor does themselves. When I went in with a thyroid concern at my general practitioner’s office, the doctor decided on the spot that I should have an ultrasound and escorted me to the room next door where she performed the ultrasound herself, right there, and then discussed what she saw. There was no extra appointment needed, no films from a tech that the doctor then had to interpret and potentially decide wasn’t done at the right angle and needed to be done again. The same applied to my pre-natal doctor. Once the weigh-ins or occasional blood tests were done by the nurses, I sat in the doctor’s formal office for any discussion, then went into a separate exam room for any ultrasounds or heart beat check-ups, all under the care of the actual doctor. Once your appointment started you felt like you had the full attention of your doctor, unlike my U.S. experience where you sat in an exam room the whole time while the doctors went from room to room checking on other patients and sending nurses in here and there to give you other information. At the end of each appointment, all of your history and current stats are recorded in your “Mutter Pass.” This is a booklet that contains your medical history relating to your pregnancy that you carry around at all times. If you are in a car accident or taken to another doctor for any reason, having the “Mutter Pass” lets that new physician know exactly what is going on with your pregnancy, and better yet, if you are in the early stages, it alerts them to the fact that you are pregnant in case you are unconscious. In general, I had very positive experiences with people out and about in daily life while I was pregnant. Most people gave up their seat for me on the bus for me or held open a door. You’ll also benefit from being waved to the front of a long line in public buildings and bathrooms. But what most people might not be prepared for is how Germans tend to consider children “community property.” By that I mean the whole “it takes a village” approach is alive and well in Germany and people, especially the elderly who you encounter at the supermarket or on the bus, have no problems asking you about how you plan to raise or feed your child. I had at least had the exposure to the breastfeeding questions when I moved to Germany with a 2 month old. So I wasn’t as surprised when a man on the bus would notice my big belly and ask me if I planned to breastfeed my child! Be prepared for a slew of advice from strangers before and after your delivery. In my whole pregnancy, the one area that probably caused me the most stress was choosing and going to the hospital where I would give birth. Even before I was pregnant I had read several questions and responses to hospital selection from other expats, and the horror stories that went with them. When I discovered that my doctor wouldn’t be delivering me, I was terrified of the choice. The most obvious hospital would be the hospital closest to my home, which was literally a 7 minute walk from my front door. The only problem was, I had heard the most negative stories about this particular hospital. On the extreme opposite end of the spectrum were the dream hospitals, the two that everyone raved about yet described getting to be able to give birth there as challenging as getting into an Ivy League school. All of the hospitals offer some sort of information night where you can tour the facilities and ask questions (in some, it is a requirement to attend before you can register). I had two small children that would still need to be looked after while I gave birth and my proximity to them and the hospital were my most important criteria. Since we didn’t know if any family would be able to come out and be there with us when the time actually arrived, I wanted some place nearby so that my husband could go easily between my boys and the hospital if my neighbors had to watch them. I took comfort in the fact that another neighbor told me she gave birth at the same hospital, Rechts der Isar, and had a wonderful experience. This particular hospital also had a neonatal unit, something not all hospitals had in Munich. So, if something were to go wrong with the baby, I knew that she wouldn’t have to be transported to another facility away from me. One thing that most of the hospitals had in common though, was the multi-person recovery rooms. After you have your precious angel in your arms and are taken away to the recovery wing, you may find yourself sharing a room with at least one other mother and baby and in some cases, up to four other women! So for someone who previously gave birth twice in the U.S. in a private hospital room where I labored, gave birth and recovered all in the same room with my own private bathroom, this concept did not appeal to me at all! Certain hospitals have a few private rooms that are usually reserved for those new mothers with the right kind of private insurance. It’s also important to note that the average hospital stay for a normal delivery in Germany is 3 days. I could not even imagine sharing a room with a bunch of moms and their newborns, AND their visitors all hours of the day for 3 days. The way I got around this was exercising the law that only requires mothers to stay in the hospital for 4 hours after giving birth, provided that both the mother and the baby’s health is cleared by the attending doctors. While I had heard that most hospitals will try to dissuade you from doing so, my hospital was very respectful of my choice and did not try to change my mind. In the end, the hospital was just as good as my experiences with my births in the U.S. and have since calmed the fears of many other mother’s considering it as one of their options. My pregnancy overseas came with a few different stresses than I had experienced in the U.S. but I felt that my overall care and treatment as an expectant mother was superior to my experiences “back home” and in the end, I had a very healthy baby girl. Have you given birth overseas? Or did you chose to go back to your home country – or even to a third country? I would love to hear your experiences – either in the comments below or if you would like to write a gurst post do get in touch via clara@expatpartnersurvival.com.